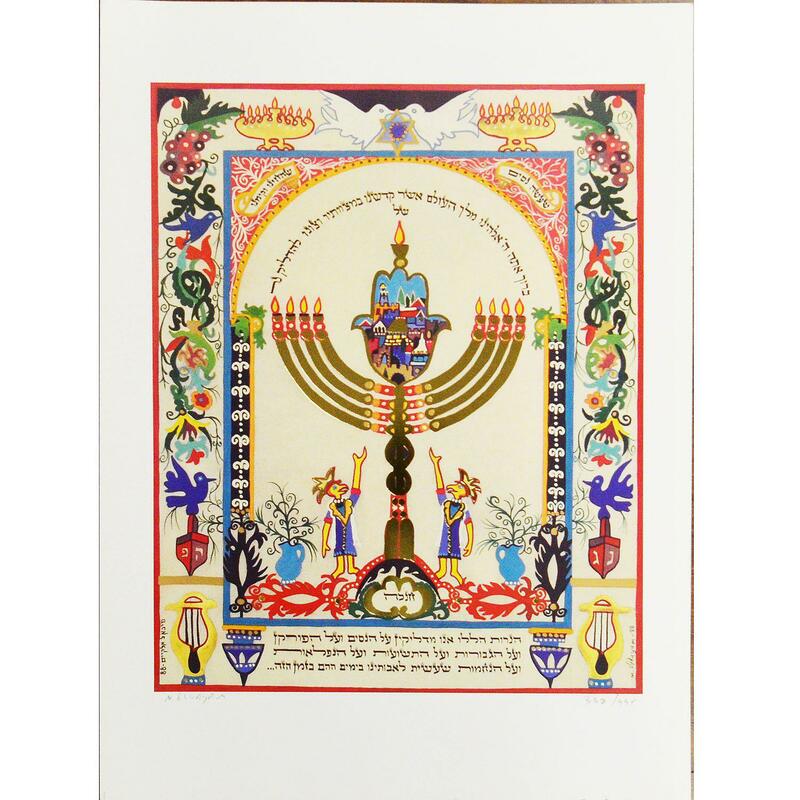 Menorah Offset Lithograph by Michael Elkayam hand signed. Approx. Measurements of frame: 20x14 in.